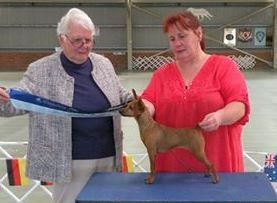 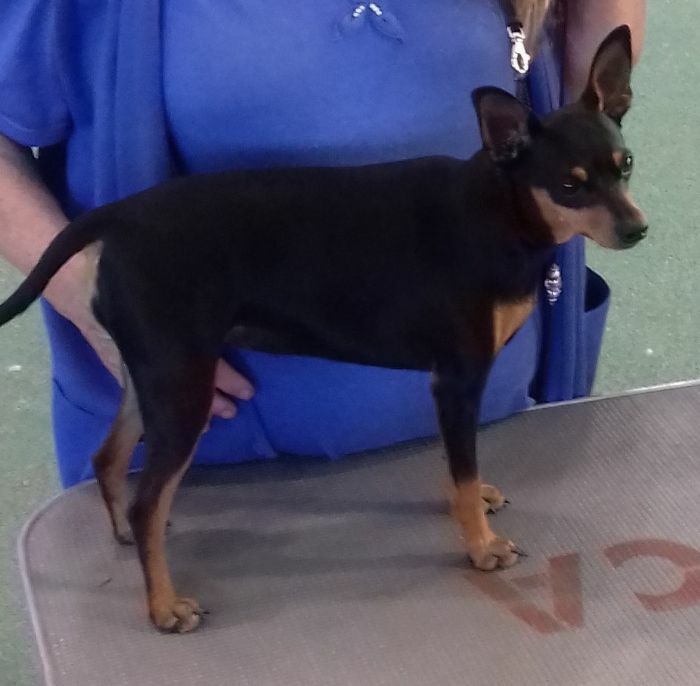 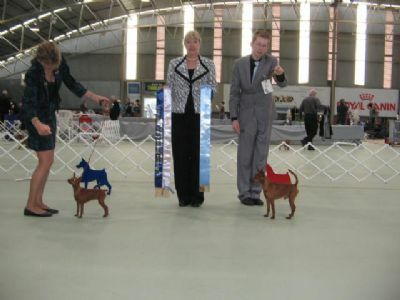 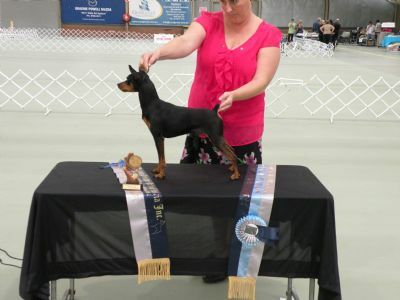 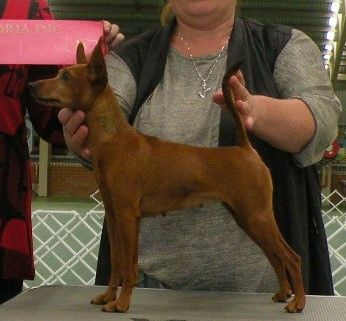 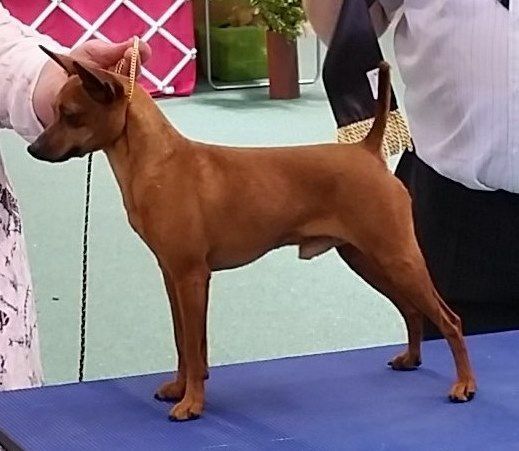 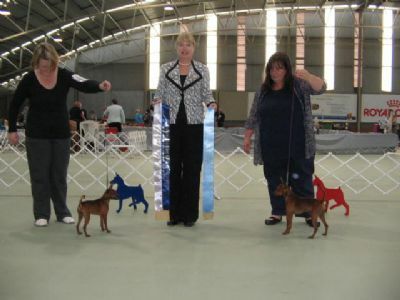 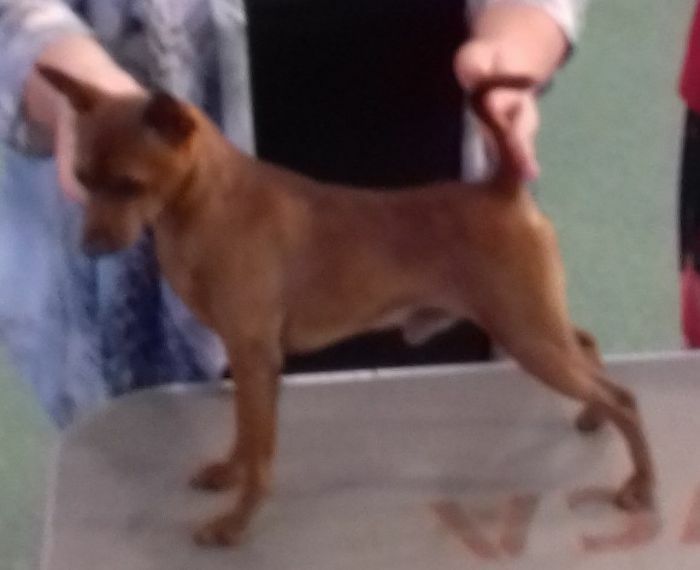 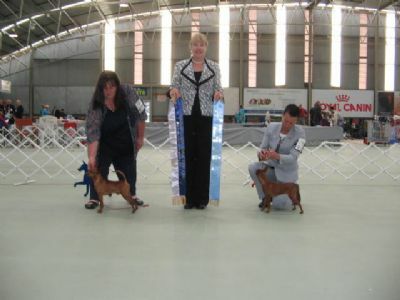 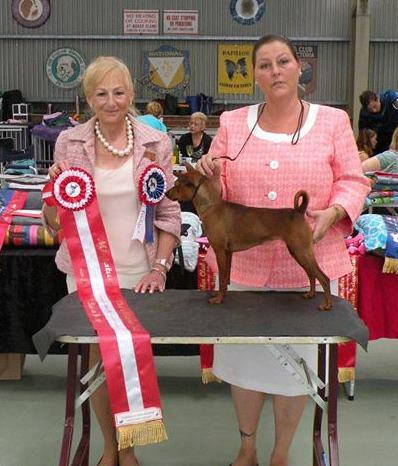 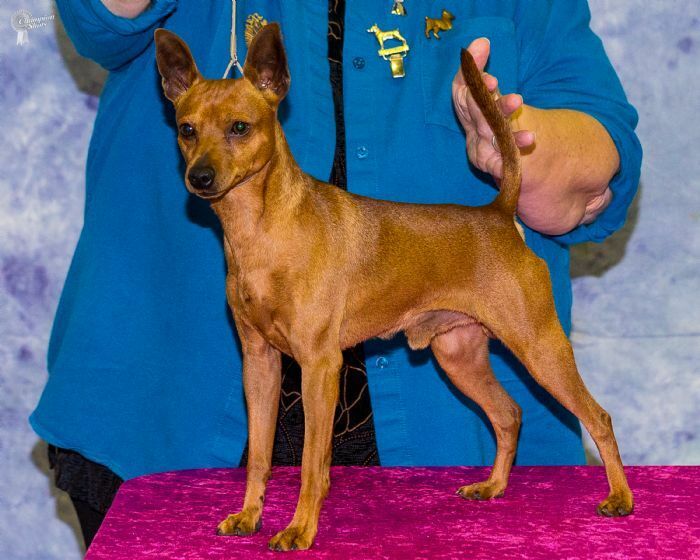 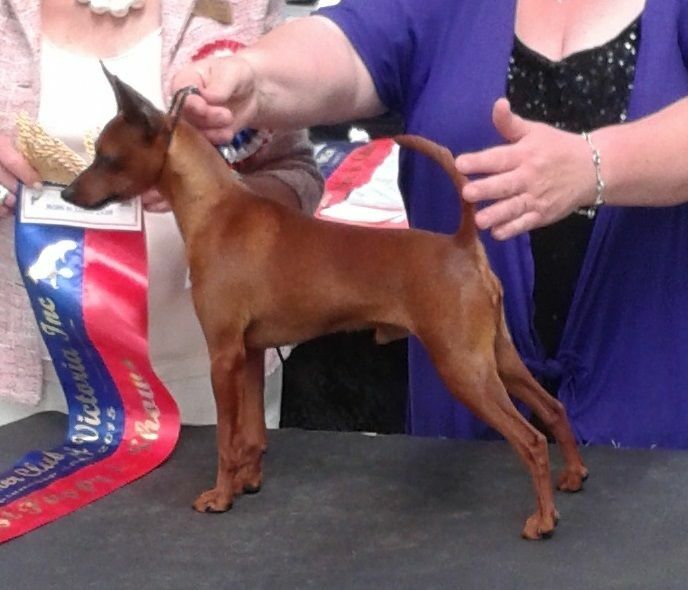 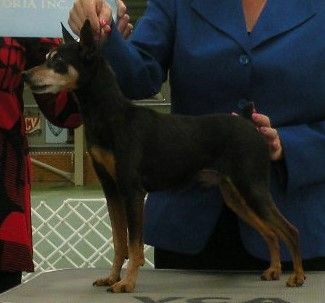 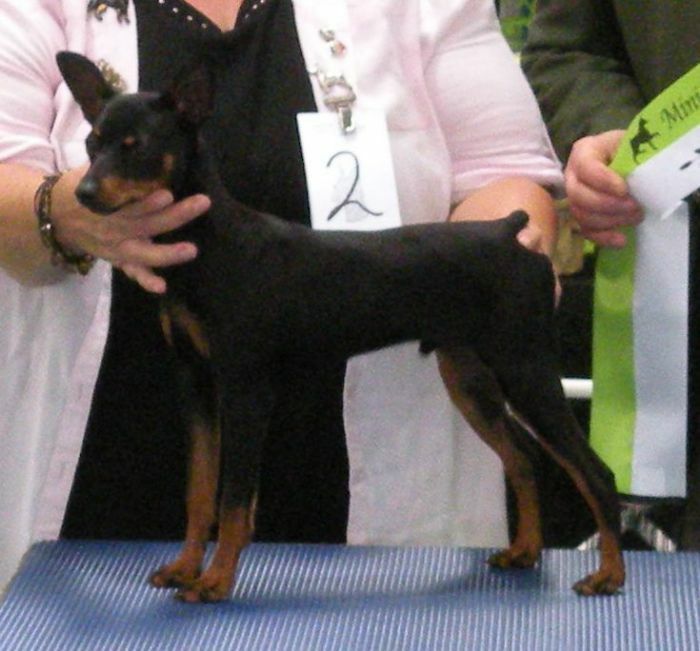 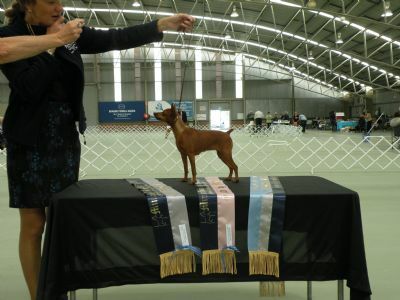 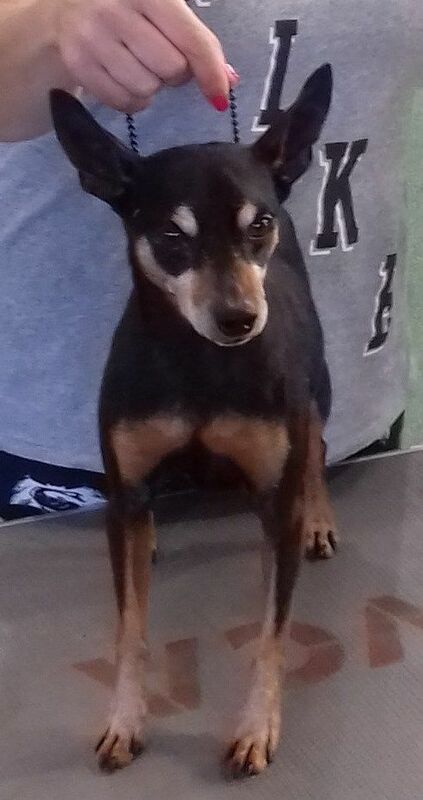 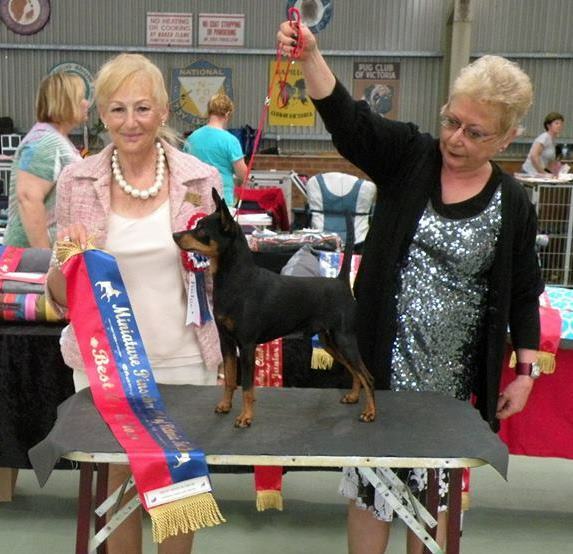 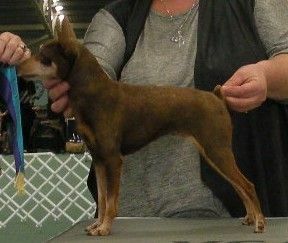 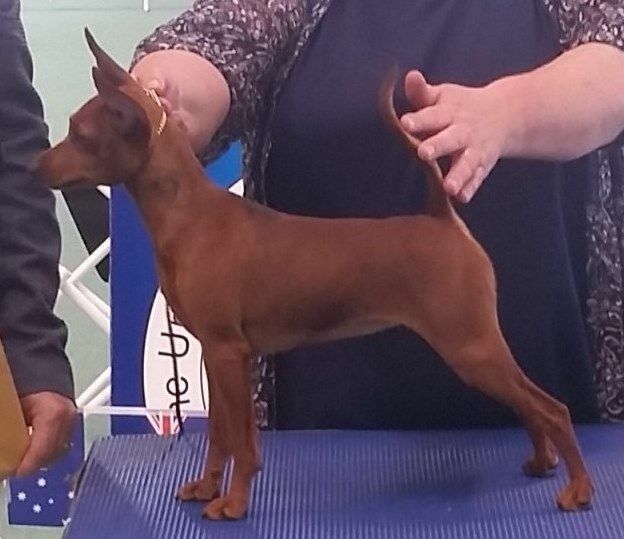 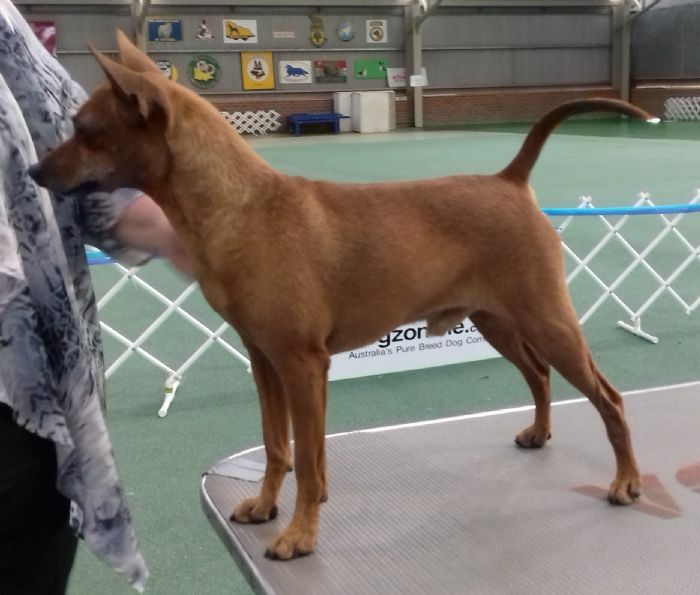 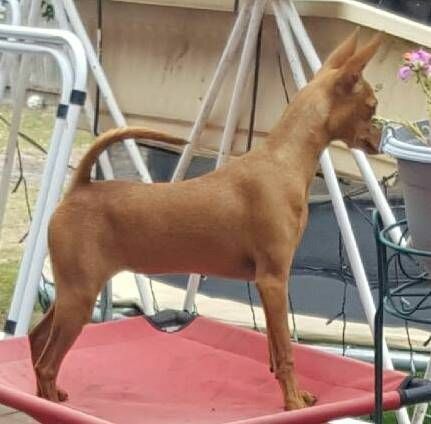 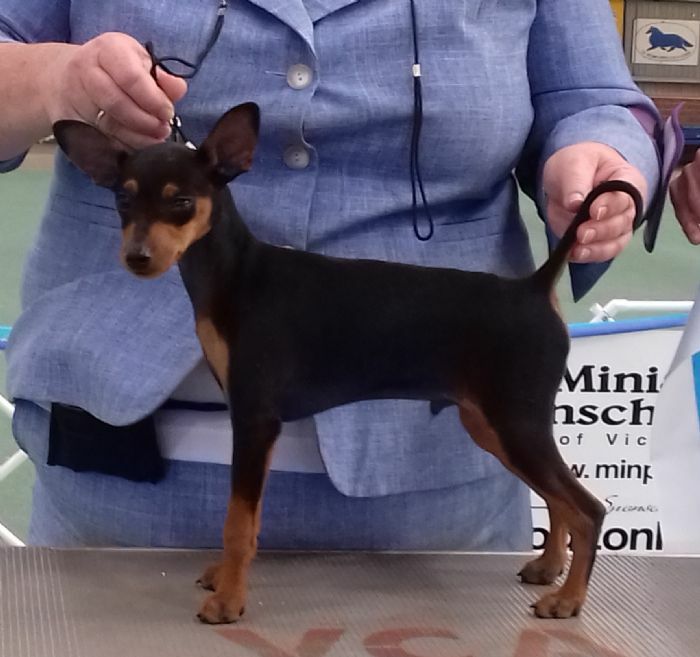 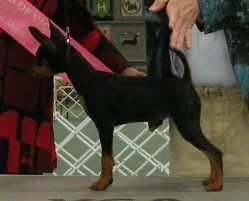 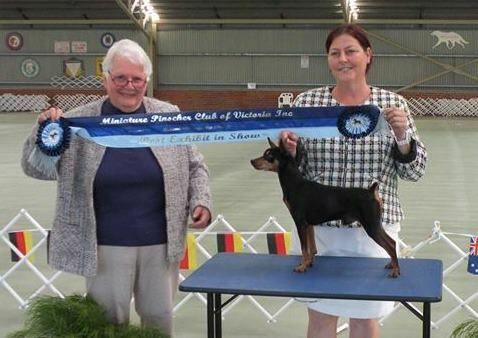 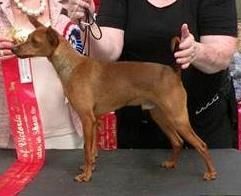 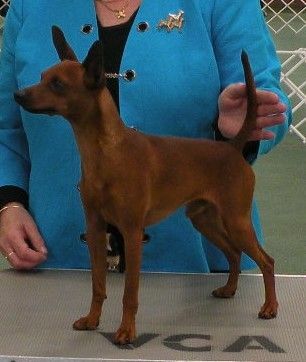 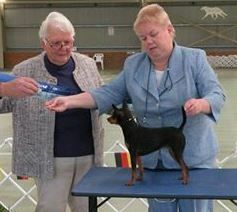 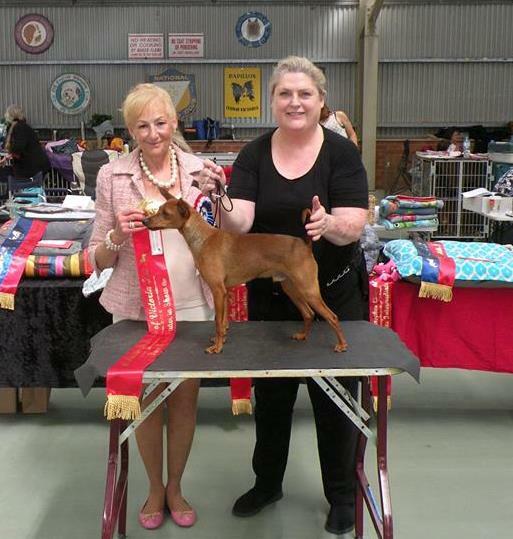 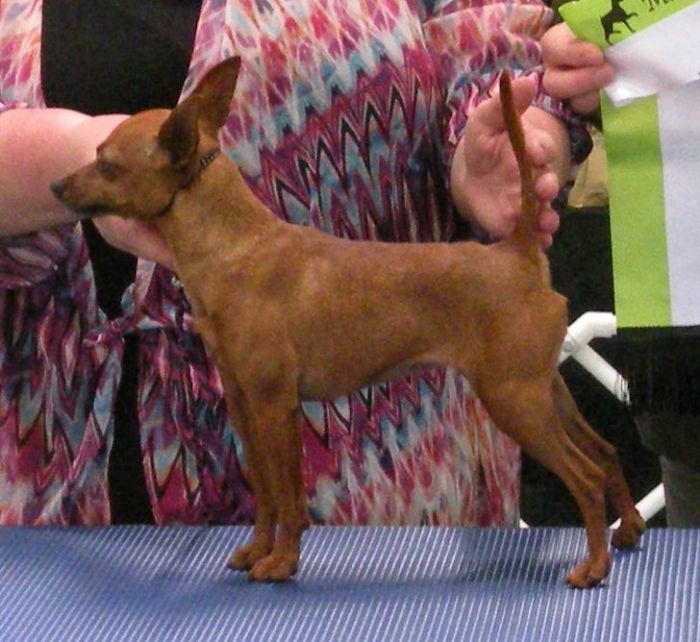 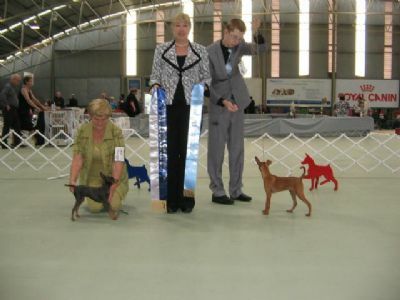 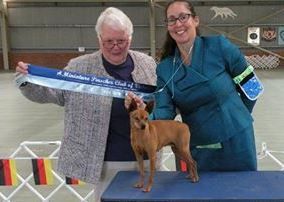 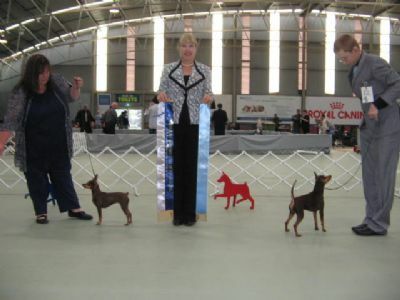 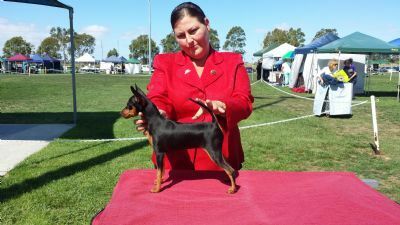 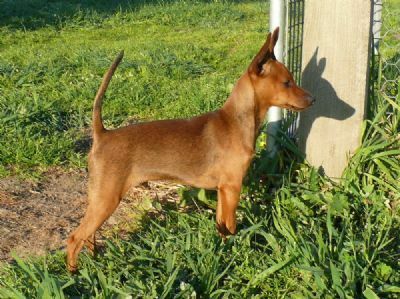 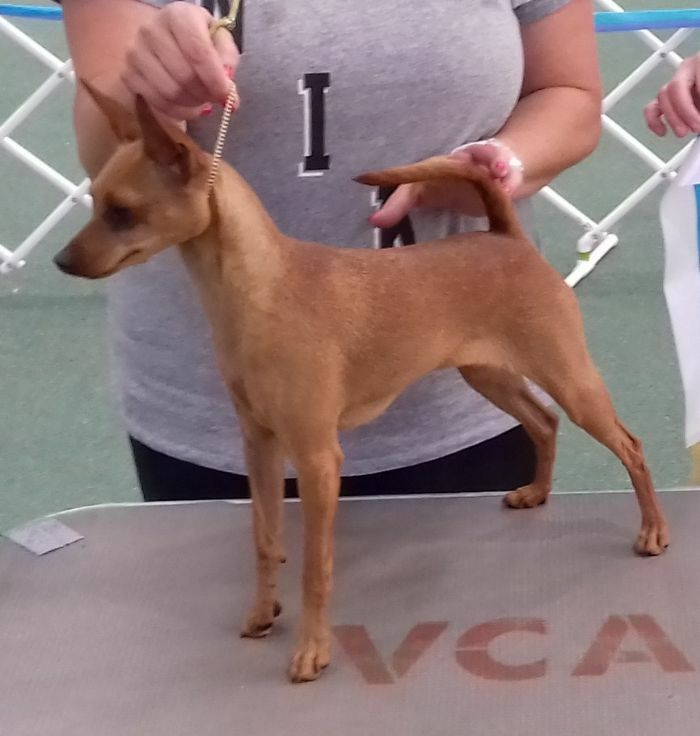 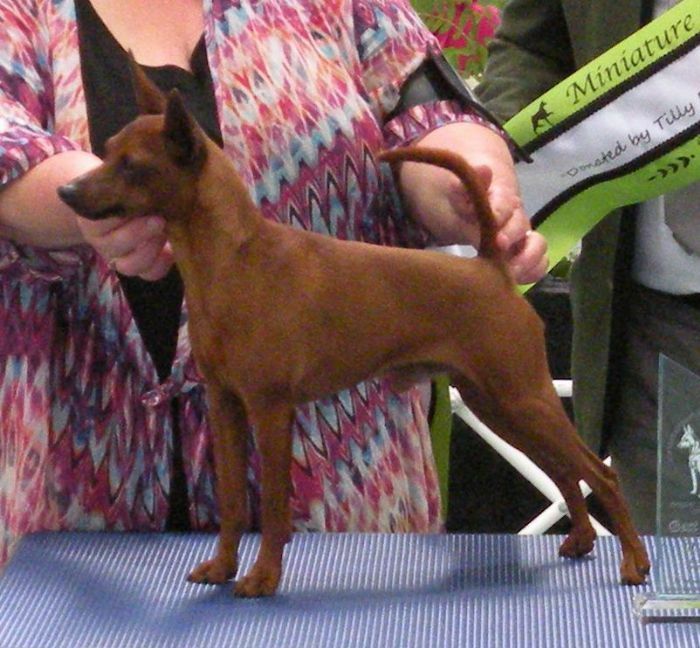 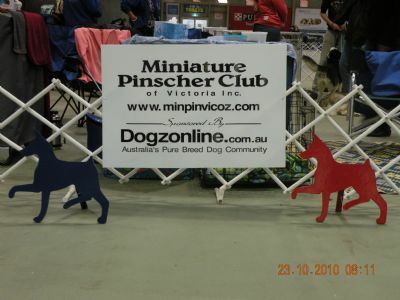 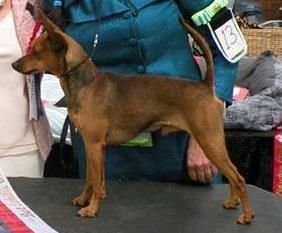 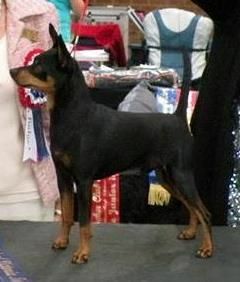 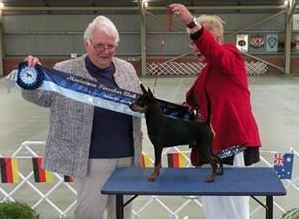 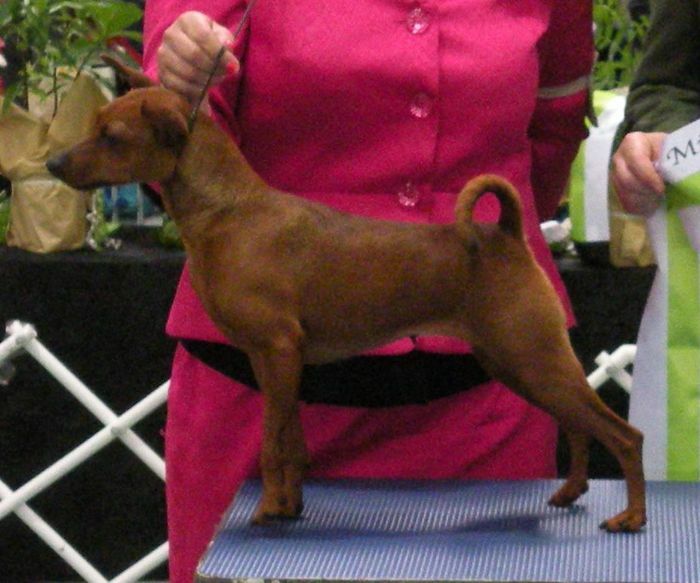 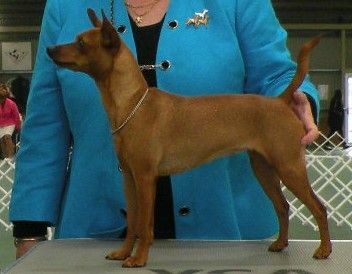 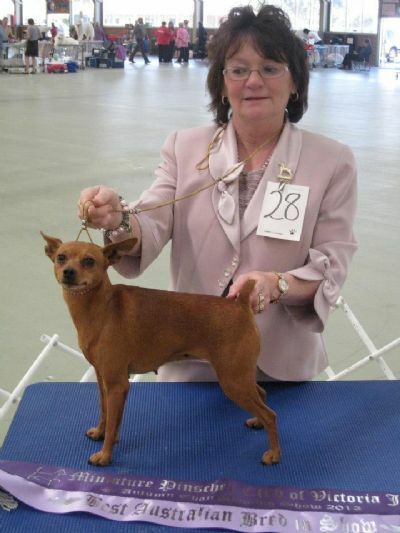 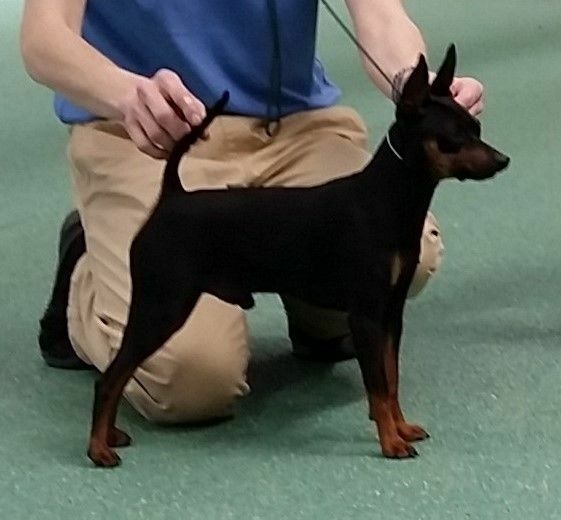 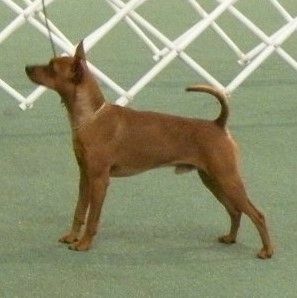 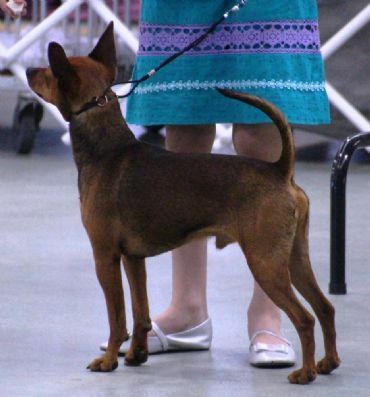 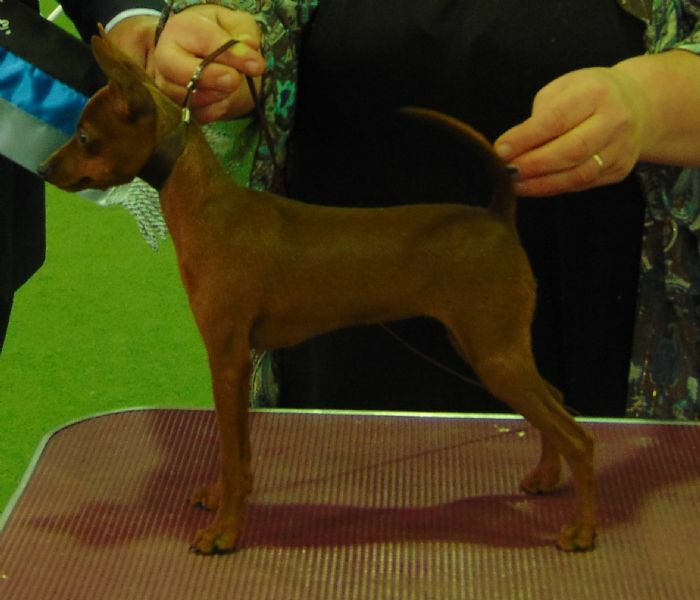 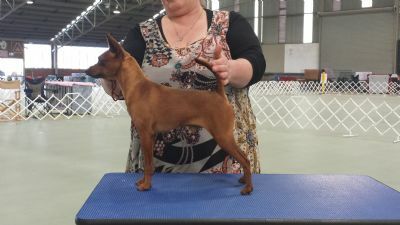 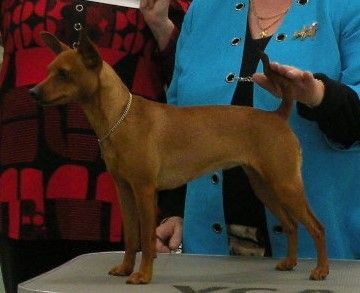 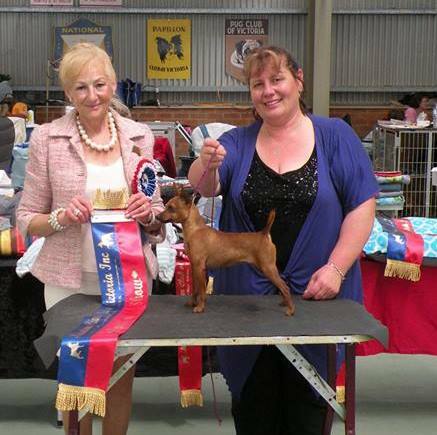 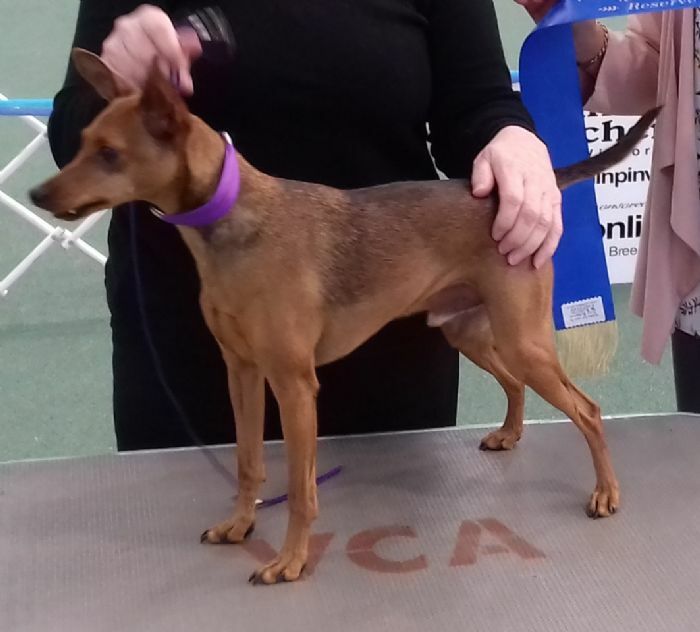 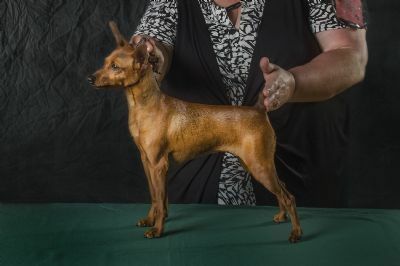 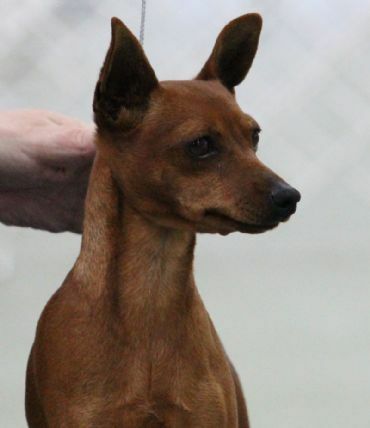 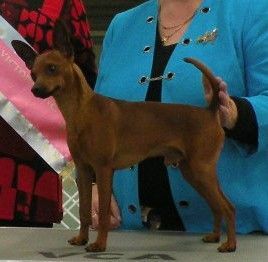 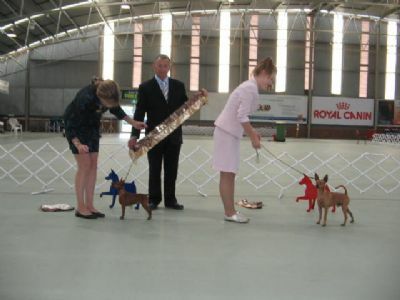 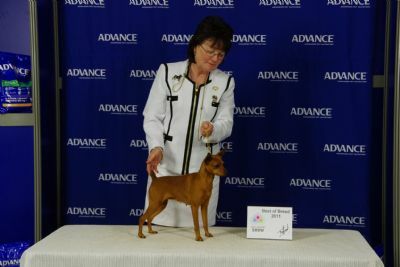 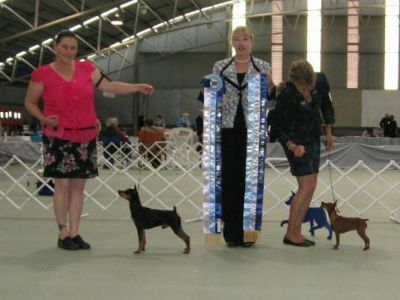 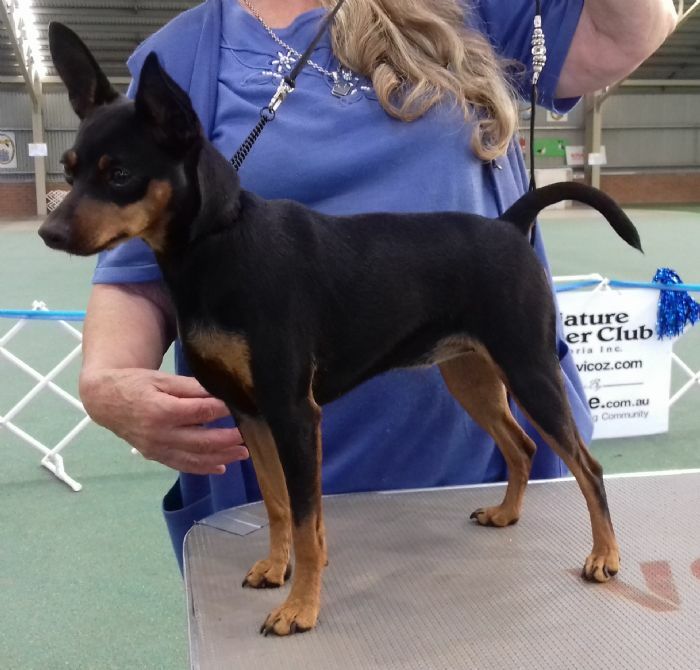 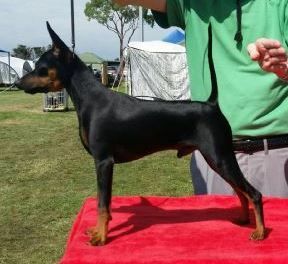 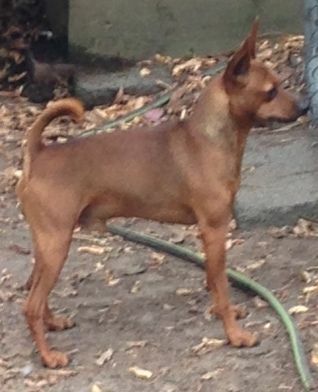 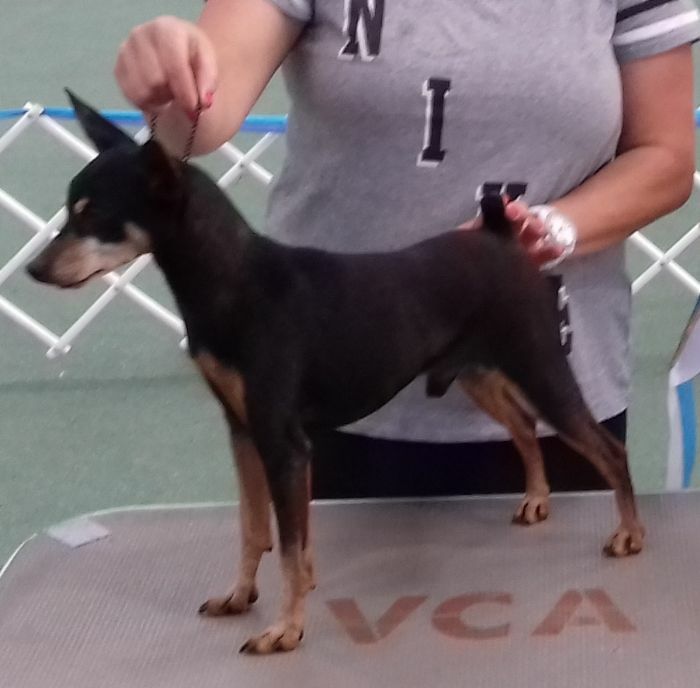 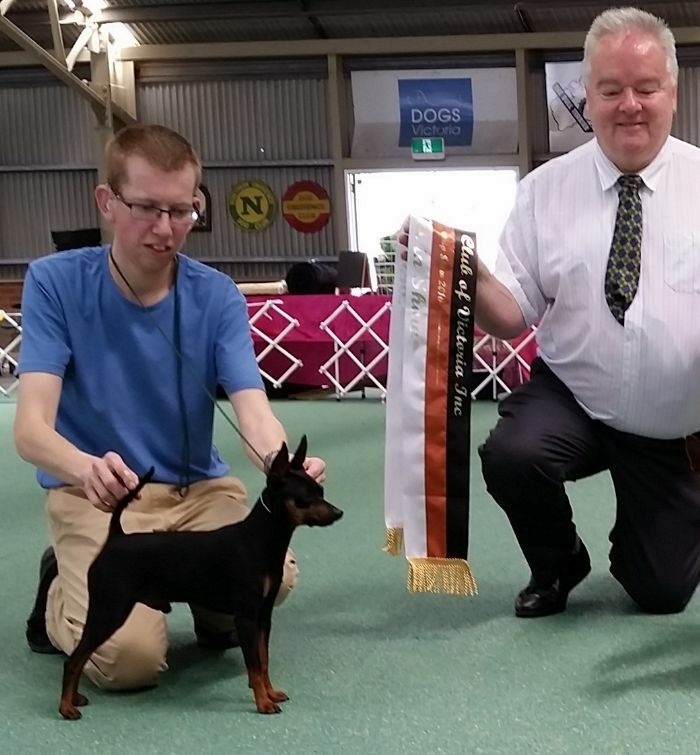 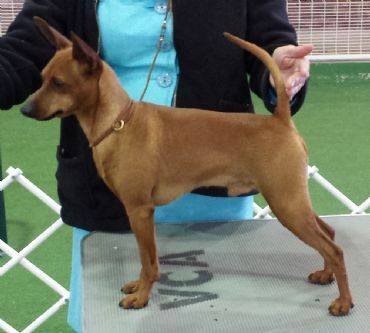 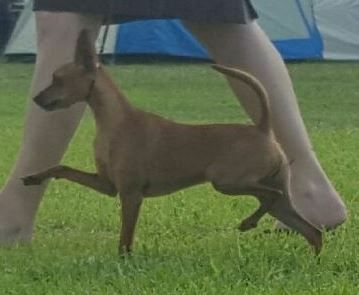 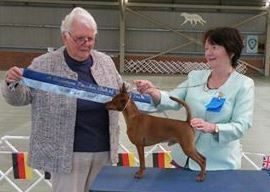 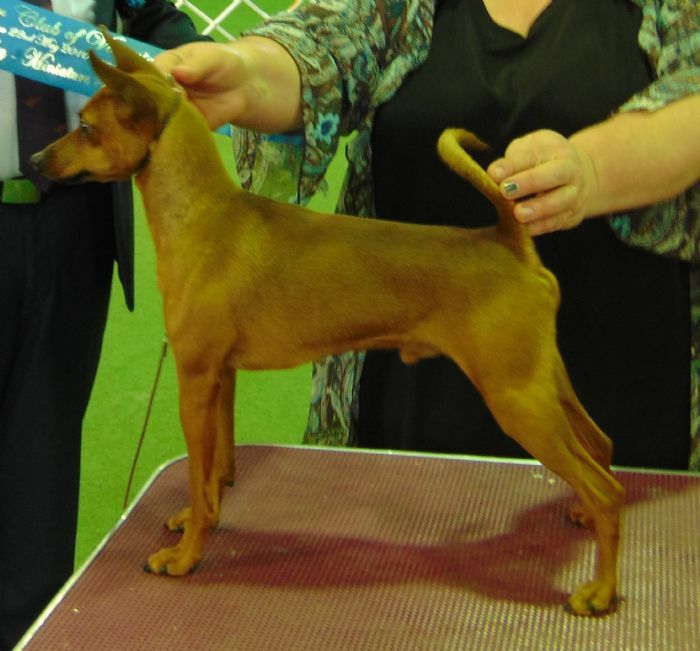 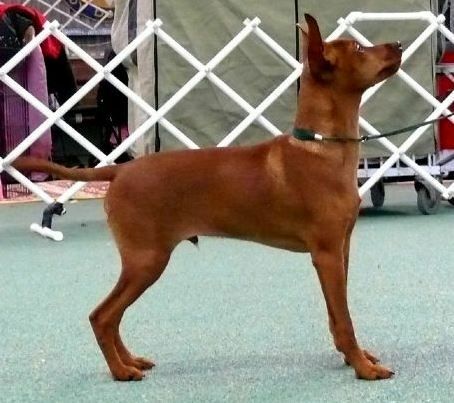 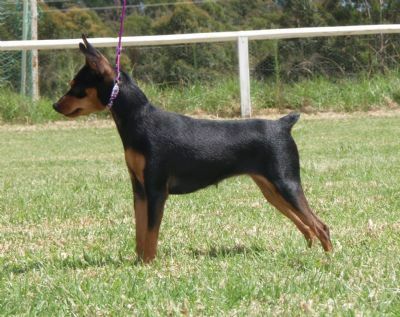 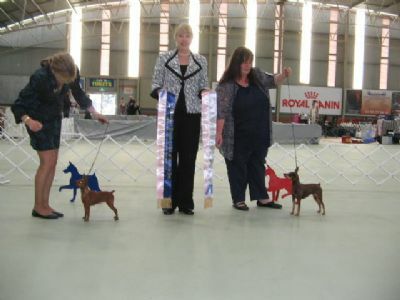 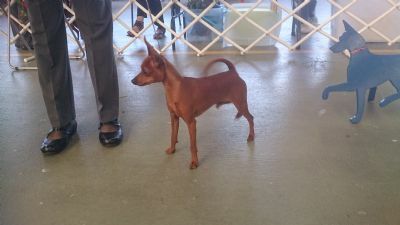 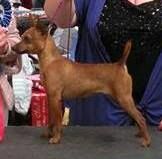 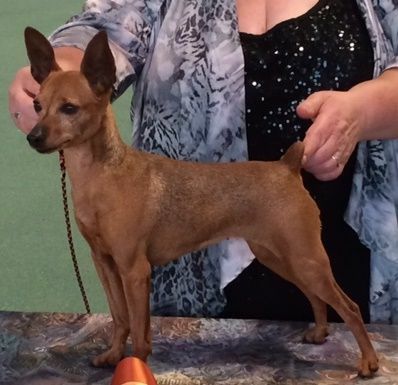 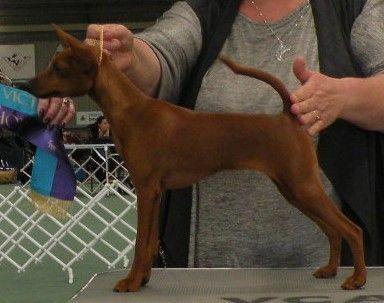 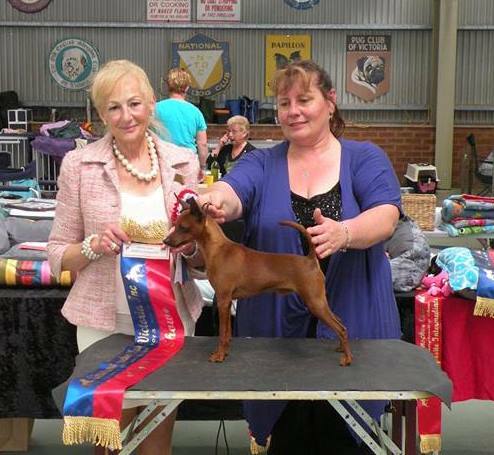 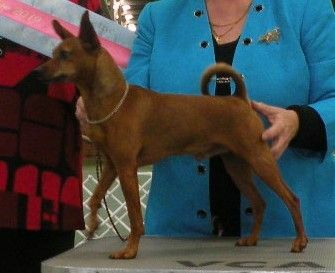 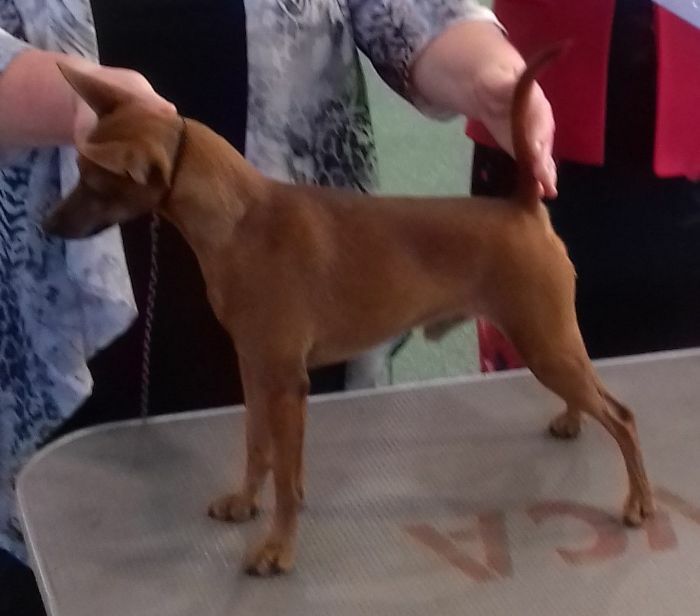 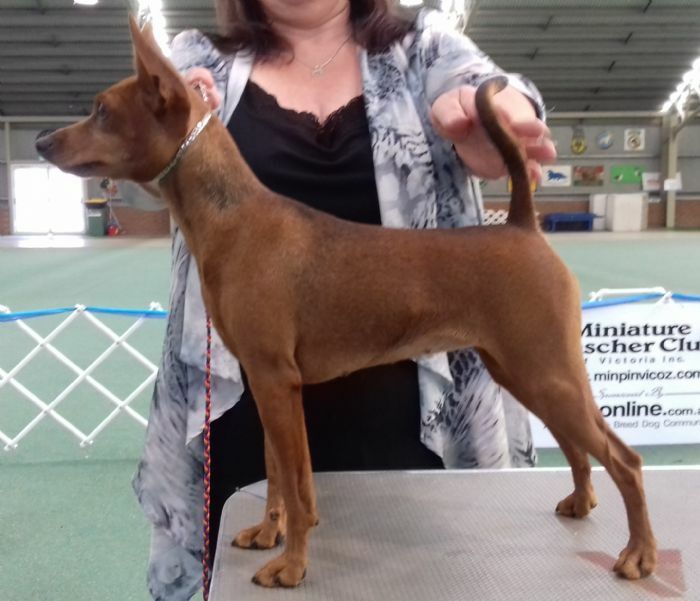 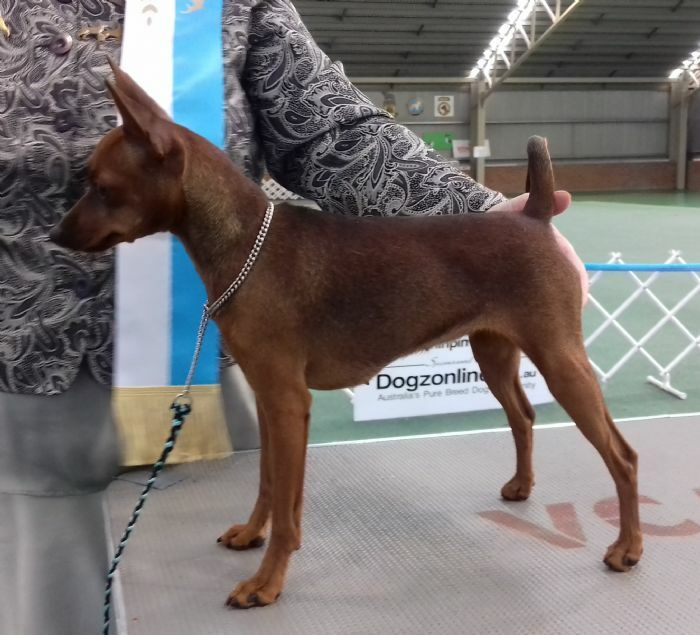 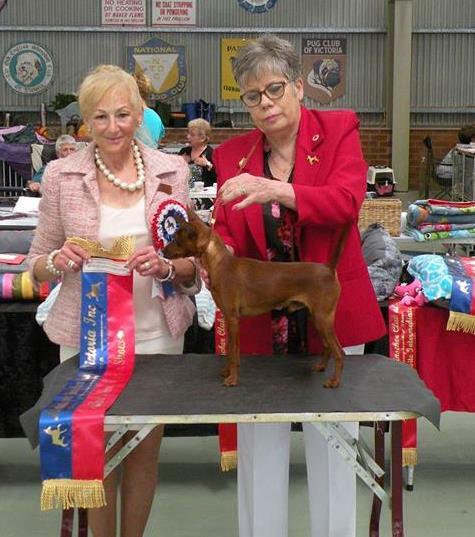 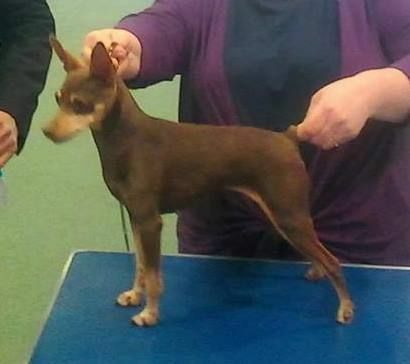 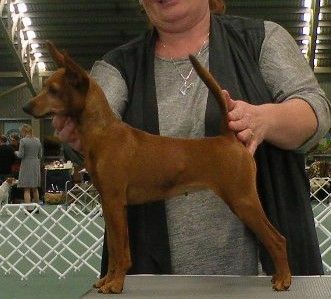 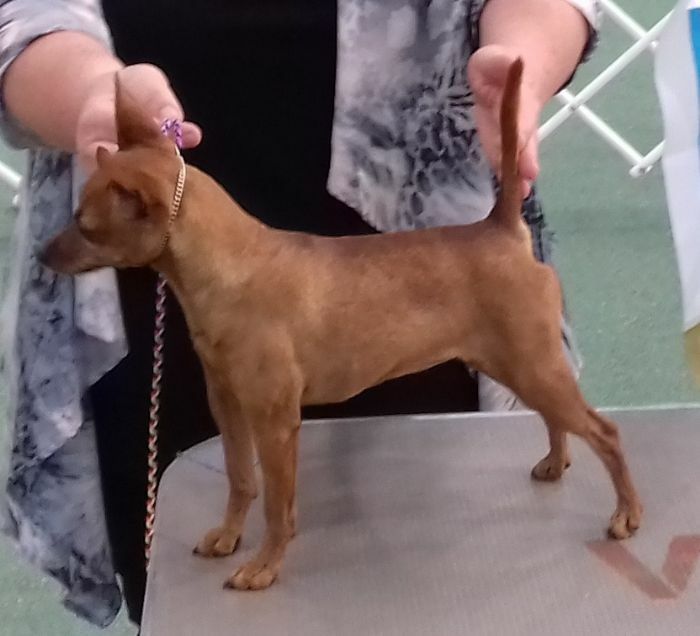 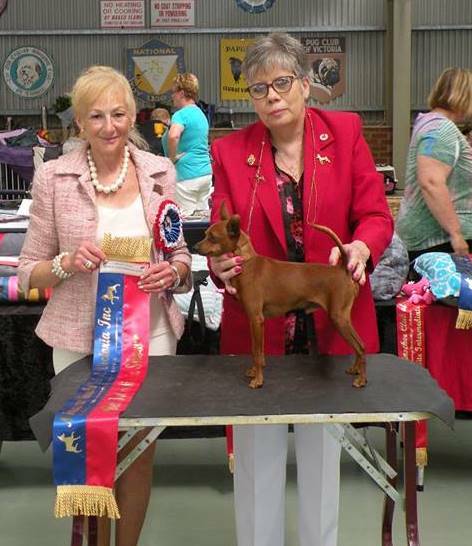 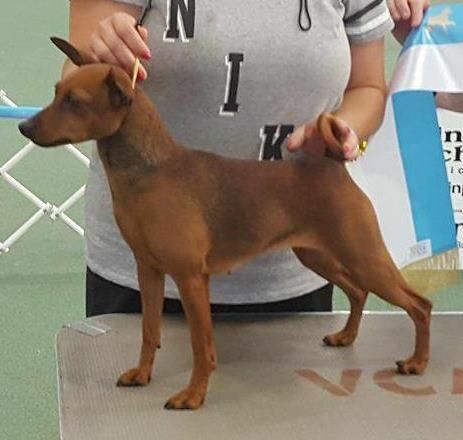 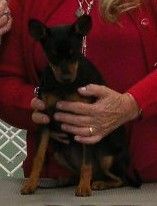 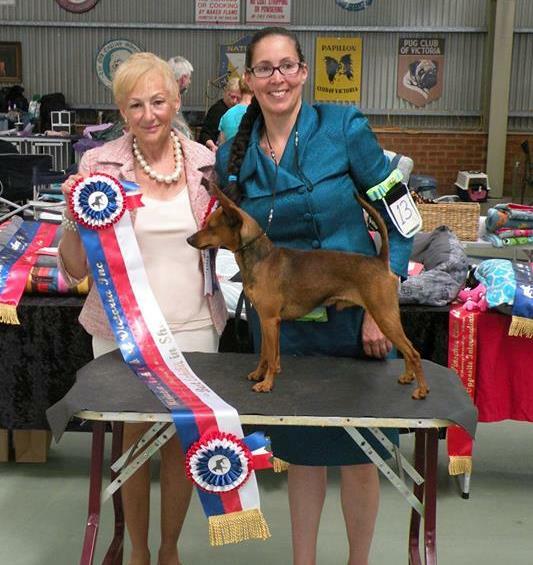 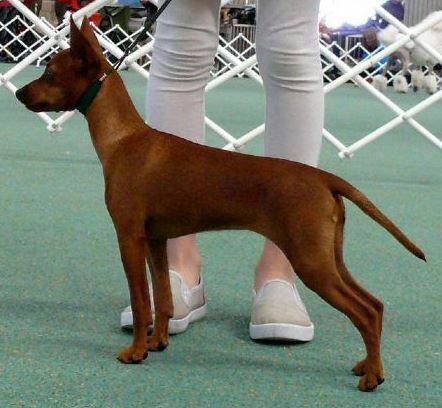 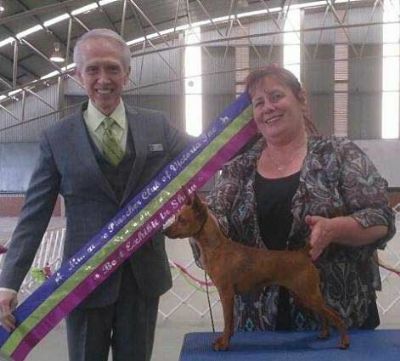 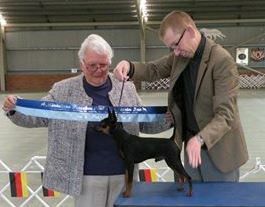 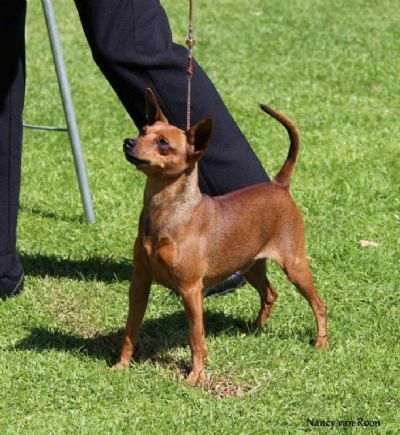 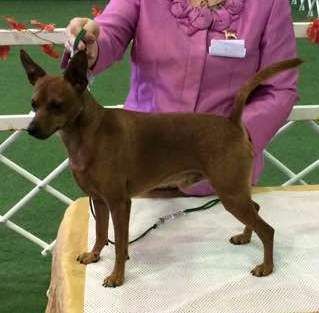 For a bit of fun our steward, Neil called a special class for the Most Unusual Min Pin at the show !!! 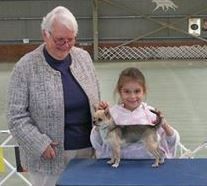 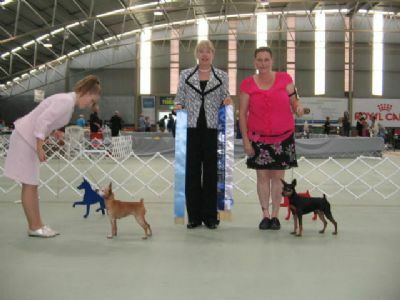 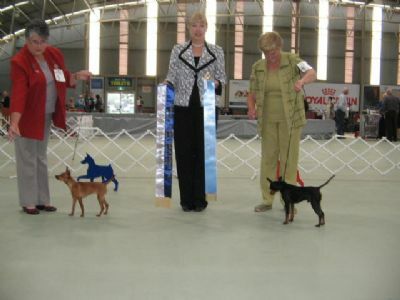 The winner was Chelsea with her Chihuahua. 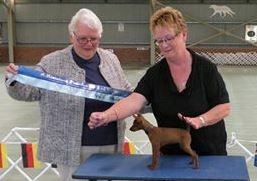 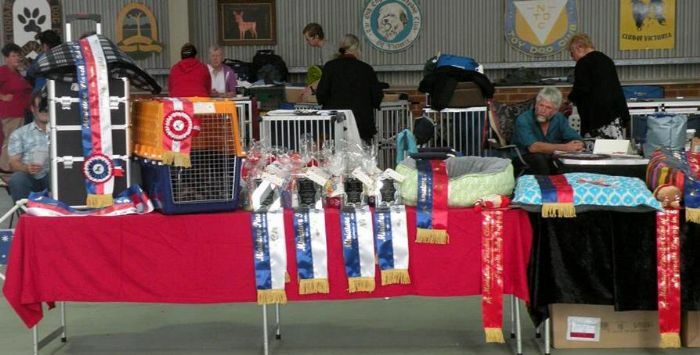 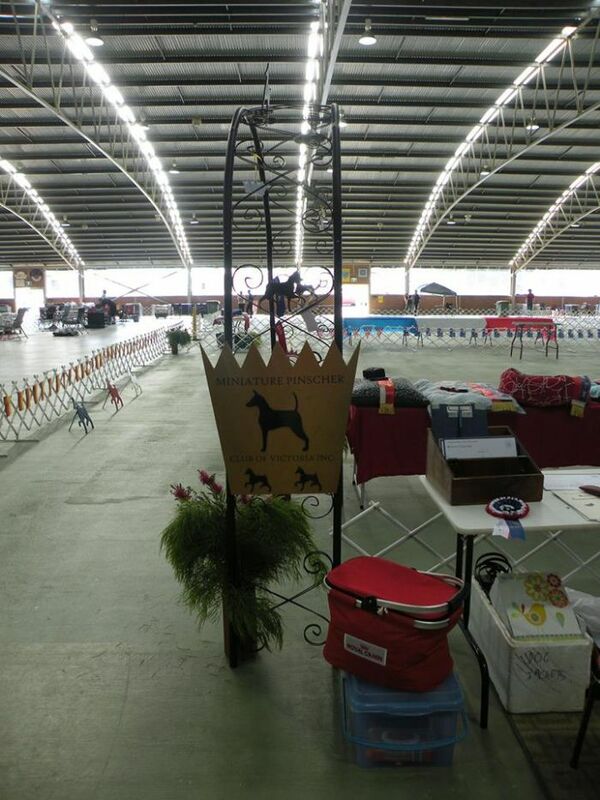 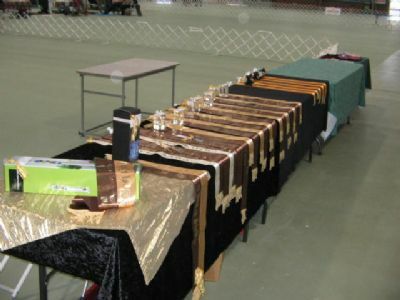 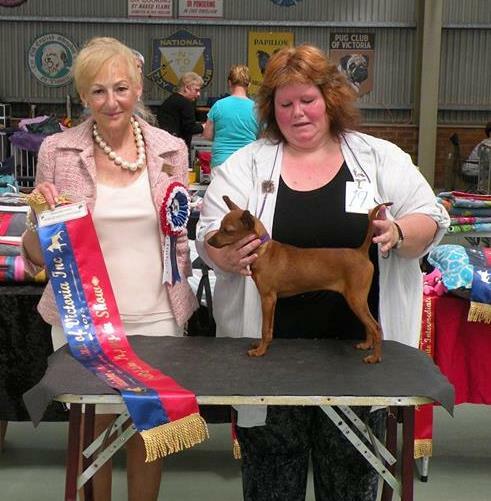 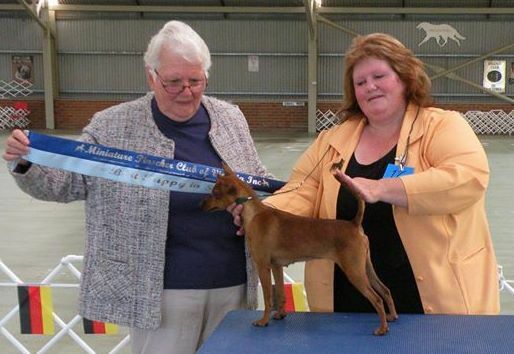 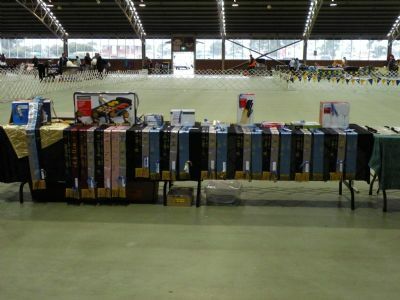 For results & pics go to '40th RUBY Show 2013' page.